Last week we had a passionate discussion about fraud in small business. 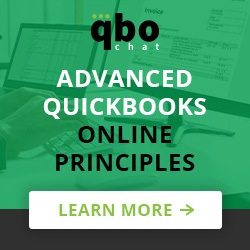 From employee theft to technology-assisted fraud, the accountants in our QBOchat audience have the knowledge of professional auditors! As a small business owner, what do you need to look out for? How can you be proactive in preventing fraud in your business? Check out our chat summary below to find out! If you’d like to read the full chat transcript, you can see it here. A majority of fraud in small business occurs internally. How can employees commit cash fraud? What do you look out for? We had so many different ideas, warnings, and stories (true stories too!). Two major themes that we all agreed on were payroll fraud and employees abusing the privilege of having access to cash. As @accountingpeace points out, employees preparing their own payroll is never a good idea. Employees have been known to create ghost employees to send money to themselves or a friend, and falsifying hours and salary can be easy to do without the right checks and balances systems in place. We think it’s best to have an outsourced accountant manage payroll so as to prevent these kinds of payroll fraud. When it comes to cash, the fraud possibilities seem endless. @Megsquito gave us a simple yet frequent example- overcharging customers and pocketing the overage. Employees may also accept cash for product returns; it is easy to pocket the cash and not create a return transaction. 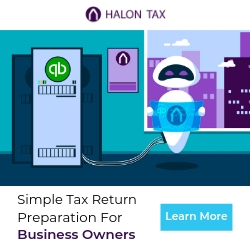 And even if an employee doesn’t have access to the actual company cash, @XTBills explained that you should lock up your checks or get rid of your physical checkbook, as it can be easy to take blank checks. Besides cash fraud, employee fraud also occurs with expenses, inventory, and other assets. What do you look out for? While fraudulent or duplicate expenses can be easy to detect with the right tools in place, inventory and assets can be trickier. When it comes to inventory, multiple employees responsible for different tasks is best. If the same person is receiving and ordering inventory, you may see inventory counts padded to conceal stolen items. That employee can also create fake sales to justify a shipment of inventory, then cancel the sale or write it off as bad debt. @Megsquito makes a great point- keep an eye on your actual inventory counts because falsified sales of imaginary inventory can put you in the red very quickly. Also be sure to update your fixed asset list periodically. We heard that a manage wrote off an asset as obsolete then “gave” it to a shell company he controlled! So what can we do to help prevent employee theft? A major theme from our entire chat – segregation of duties!! Another theme that @abacus summarized for us was setting clear policies and conducting audits. You may not hire employees who have the intention of stealing from you. But anyone can fall on hard times, so have a good relationship with your employees and be aware of any financial distress they may be going through. As @ChristineGalli says, “opportunity, motivation and rationale can turn even the best employee into one that cheats the system”. We recommend verifying previous employment and completing continual background checks. Remember- trust but verify. Small business owners should be involved in every policy, procedure, audit, etc. of their business! Employee theft is not the only fraud business’ have to consider. What other fraud exists? How can you identify and prevent it? We were all impressed with how technology has aided in both operating businesses more effectively, and stealing from them easily. So much so that insurance is available for computer fraud and cyber liability! There are a million different ways to steal a credit card number or obtain sensitive information from a customer database. @QBOSarahK recommends keeping your technology up-to-date and protected to help keep hackers away. Aside from the high-tech fraud, shoplifting is a major problem! By keeping your store organized, coordinating your customer service team, optimizing your store layout and design, and placing signs (they are so effective on the psyche! ), you can help prevent shoplifting. How can small business implement fraud deterrence to proactively remove causes of fraud in their business? This is where @CathyIconis’s expertise as an accounting auditor comes in! The Fraud Triangle suggests people will steal from you. The goal is to prevent the fraud triangle from existing in your business. The COSO model provides an internal control framework for businesses to implement to prevent fraud. And of course, hire an accountant or a Certified Fraud Examiner if you think you have an issue. And that sums up our chat! Be sure to sign up for our newsletter at the bottom of this page to get reminders of our upcoming chats and more.